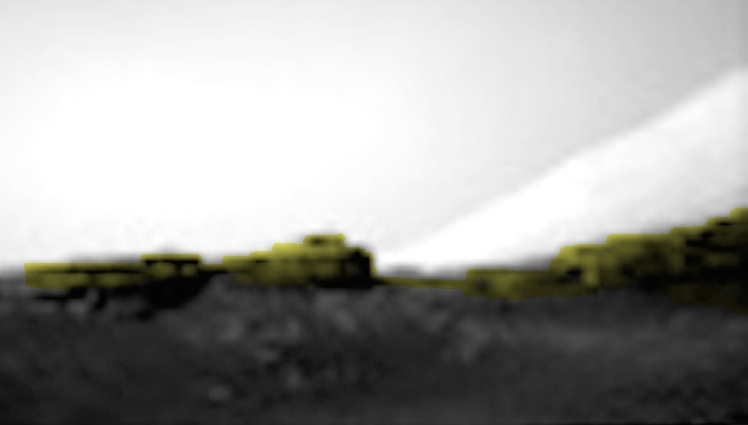 UFO SIGHTINGS DAILY: Mars NASA Rover Takes Close Up Photo Of Buildings On Hillside, June 23, 2016, UFO Sighting News. Mars NASA Rover Takes Close Up Photo Of Buildings On Hillside, June 23, 2016, UFO Sighting News. Bases on the moon...we all know they exist. Since starting this website six years ago, I have posted evidence after evidence of structures on other planets and moons. Mars seems to hold the publics fascination the most for some reason. I found a photo on the NASA site, but the original (click it above to view) is only 4kb in size. For those who don't understand digital sizes, this thing is so small that it could be a app icon on your cell phone. Fingernail size...so I was wondering why? Why would they want to make such a small photo when all the other photos were 280+kb size? I took the photo and enlarged it and found that along the ridge of a hillside were dark structures with windows and doors. Now it all made sense to me. NASA had to release the photo to the public to say..."we didn't hide it, we released it to the public." This way they won't get caught for hiding evidence later. But we know that trick, and we are onto them.